Has anything changed after bombing of a terror camp in Pakistan by IAF? If you had to name the man most likely to spark a nuclear war, who would you pick? Kim Jong Un? Here’s another candidate: Masood Azhar, the founder of the Pakistani jihadist group Jaish-e-Mohammed, or Army of Mohammed. After three weeks of dramatically escalating tensions, India and Pakistan appear to have pulled back from the brink of war—for now. But the larger question remains: What does the Pakistani army’s longstanding policy of nurturing jihadist groups mean for stability in South Asia? As an increasingly nationalist India grows more assertive, Pakistan’s jihadists could inadvertently trigger a catastrophic war. JeM stands at the center of the continuing confrontation between the two nuclear-armed nations. It flared up with a Valentine’s Day suicide car-bombing in Indian Kashmir that killed more than 40 Indian soldiers. On Feb. 26, Indian warplanes retaliated by bombing a JeM training camp in Pakistan’s Khyber Pakhtunkhwa province, the first attack across the international border since the 1971 war that turned East Pakistan into independent Bangladesh. On Feb. 27, the Pakistani air force bombed Indian targets in Kashmir but did not cause material damage—exercising deliberate restraint, in Pakistan’s telling. In the scramble that followed, Pakistan downed an Indian MiG-21 and captured its pilot. His return two days later cooled temperatures somewhat, but the countries continue to exchange artillery fire along the line of control, the de facto border that divides disputed Kashmir. More than a week after India’s airstrikes, the facts remain fuzzy. 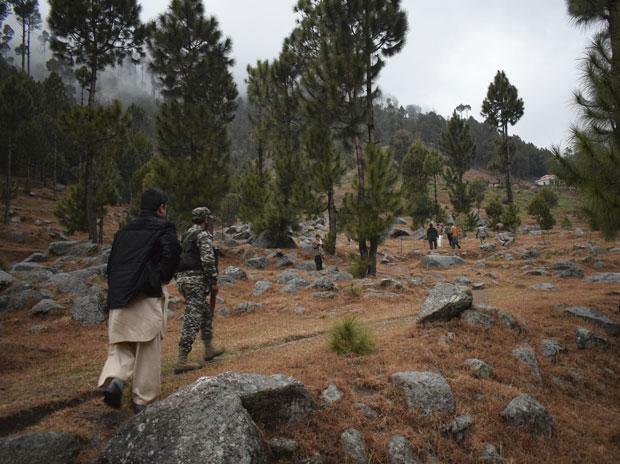 Citing commercial satellite images, international experts have cast doubts on Indian claims that its airstrikes hit a terrorist camp and eliminated “a very large number of JeM terrorists.” Pakistan’s government says India’s bombs hit a clump of trees. The Pakistani media gleefully reported that India martyred an unfortunate crow. So far, India has also failed to provide credible evidence that one of its Soviet-era MiG-21s shot down a Pakistani F-16. Virtually nobody outside India believes the more lurid stories, tom-tommed by ruling Bharatiya Janata Party politicians, of hundreds of hapless jihadists vaporized by India’s high-tech, Israeli-made bombs. Nor has Pakistan backed up its boast of downing an Indian Sukhoi-30 fighter. The details matter. Prime Minister Narendra Modi’s re-election prospects in a few months hinge partly on his image as a strongman, unafraid to take India’s fight against terrorism to Pakistan. A tale of eliminating 250 bloodthirsty jihadists obviously plays better than one of accidentally felling a pocket of forest. Nonetheless, the debate over casualties obscures the larger implications of India’s action. Simply put, New Delhi’s military retaliation against Pakistan for an attack by a terrorist group it hosts sets a precedent. Pakistan’s old calculation, that nuclear weapons shield it from retaliation, no longer holds. Another major attack against Indian targets traced to Pakistan could evoke an even tougher response from its much larger neighbor. The cost of hosting JeM, as well as the equally deadly Lashkar-e-Taiba, just rose dramatically. Has Pakistan gotten the message? On Tuesday it banned two organizations linked to LeT and detained at least 44 people, including the son and brother of the JeM’s founder, Mr. Azhar. This is for the good, except that we’ve seen it all before, including after a 2001 attack on India’s Parliament by JeM and LeT and after the 2008 Mumbai attacks by LeT that killed 166 people, including six Americans. If the pattern holds, Pakistan will quietly ease pressure on the jihadists once Indian tempers cool and the international community’s attention passes. Pakistan’s jihadists can continue to draw on a network of hard-line madrassas, or Islamic schools, that have long supplied fighters to Afghanistan and Indian Kashmir. Plus, in Pakistan the perception is that it won the most recent skirmish; the only proven damage so far was to the Indian fighter jet. By promptly returning the captured Indian pilot, Prime Minister Imran Khan managed to project himself as a reasonable man who seeks peace on the Subcontinent. The episode also has turned a spotlight on India’s spotty human-rights record in Kashmir. On the surface, Pakistan may see little reason to change. But no matter how satisfying Pakistan’s generals may find sticking it to their old enemy, their tactical win disguises a strategic failure. India showed a willingness to up the ante, and most of the world, including the U.S., stood by New Delhi. Someone has to break this dangerous cycle. Ensuring that Pakistan’s latest crackdown on jihadists is for real is the best place to start.